Deadline March 1 for $10,000 Entrepreneurship Award - Apply Now! Home›Lifestyle›Deadline March 1 for $10,000 Entrepreneurship Award - Apply Now! 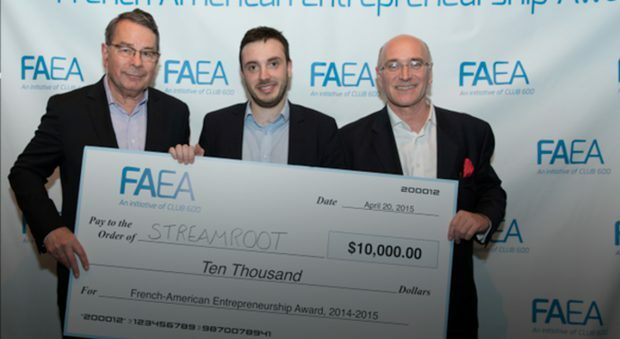 If you are a French-American entrepreneur launching a new project in the United States, then you may be eligible for the French American Entrepreneurship Award (FAEA). This annual startup competition was launched in 2008 by Club 600, a private club of French speaking entrepreneurs and CEOs with chapters in New York, Miami and Mexico. This entrepreneurship award is designed to help French-American business owners accelerate their startups here in the US. Recent award winners include Thomas Marchand for Biomodex, a company that develops innovative solutions for surgical & interventional training, and Kenneth Schlenkler of Artlist.com, an online platform for anonymous secondary market sales of art. FAEA sponsors include the new airline company providing service between New York and Paris, La Compagnie, the French American Chamber of Commerce and Splashlight, the NYC-based visual content creation company with some of the city’s finest photo/video studios. Check out the FAEA application here, and if you think you meet the criteria, then hurry up and take advantage of this incredible opportunity today! For questions about the FAEA, contact Annik Klein at faea@kxassociates.com.